Today I had the pleasure of assisting a few teachers with Class Blogs. And truth be told, we took a side trip down ‘GMail Lane’. I was so pleased to see that some of those ‘non-techies’ (self proclaimed) were willing to jump in and give it a try. Since it was a small group, we were able to do it #CUERockStar Style. 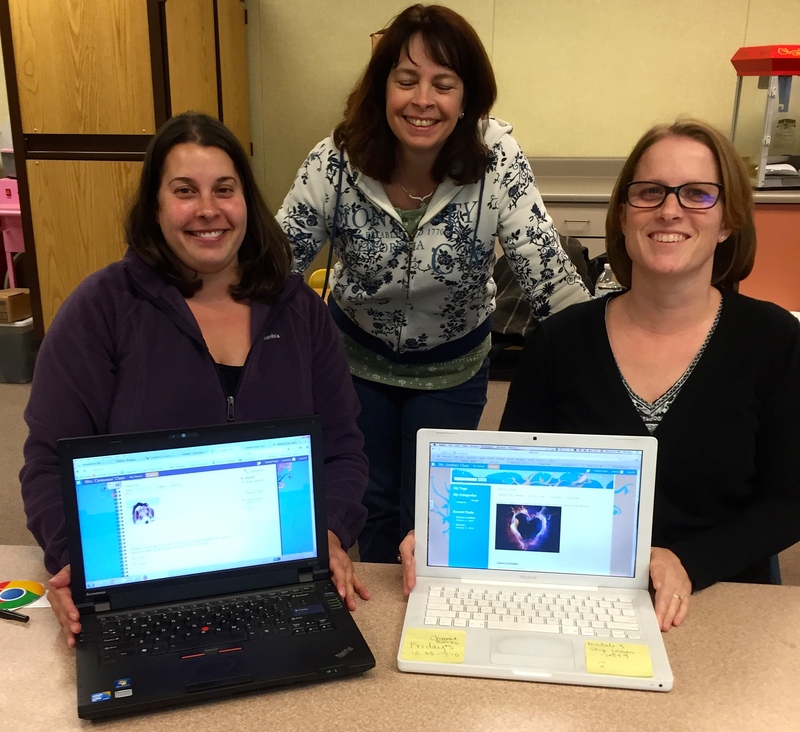 The teachers each set up a Class Blog on Kidblogs. We also had enough time for them to post their own blog post, with an image (yup, they were responsible digital citizens and used ‘Free to Use Images‘)! These ladies ROCKED! I can’t wait to read what their students write. This entry was posted in Blogs, Training and tagged blog, blogging, Blogs by Admin. Bookmark the permalink. I’m pretty sure Blogger is open. I’ll pass the information along to the teachers. What a great idea, thanks!